BRAND INTEGRITY FOR HIGHER EDUCATION IS EVERY BIT AS IMPORTANT AS A CORPORATION’S THESE DAYS. Competition for students is tough for higher education these days. Kids are looking for the total experience now, great curriculum, fun social life and of course an amazing campus. Image Craft has helped schools maintain a consistent brand from classrooms to the athletic fields and every other place your school’s brand is displayed with their graphic packages. We have done wall murals in dorms, window graphics at the student union, dimensional letters in the administration office and even wrapped a Zamboni at the hockey arena. We make sure the colors in your graphics are exactly your schools branded colors and and not your rivals. A fantastic wall mural featuring the college’s 40 year history through dimension and color. Campus beautification is one of the leading initiatives to attract the millennial student. Fun, colorful, lifestyle graphics help promote student spirit. Arizona State University’s WP Carey Business school is renown for its excellence. 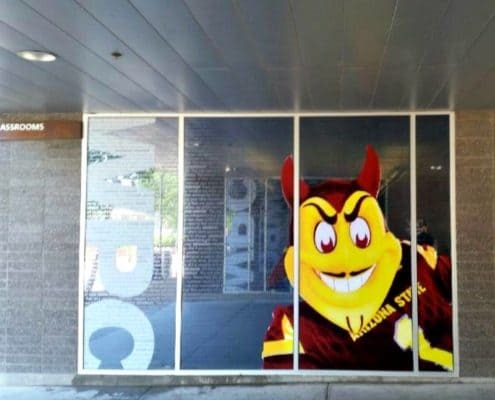 As a result ASU felt it was important to reinforce the school’s brand with the student. 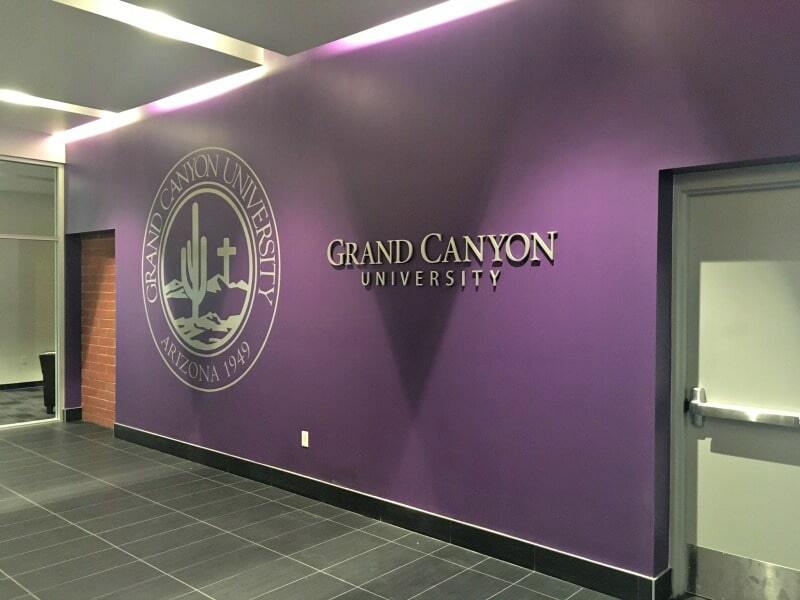 Image Craft accomplished this by using a variety of media including banners, wall murals and window graphics in the business school’s dorm.